I discovered The Expanse a couple of weeks ago and it hooked me from the first episode. It's a well written sci-fi thriller, complete with good twists and fascinating world building. The series is set in a future where humans have colonized most of the Solar System and are now divided into three main groups: the ones who live on Earth, the ones who live on Mars and the Belters – those who live in stations across the Asteroid Belt. The Earthers have the money, the Martians have the military tech and the Belters have nothing. Political conflicts abound and anything could lead to war. So, of course, anything happens. The first season presents three parallel storylines that concur to the solving of a central mystery. While the second half of the season is not as strong and tightly written as the first, the season as a whole is engaging sci-fi and leaves you interested in knowing what happens next. I wasn't sure if I should write a typical season review for this, or an article providing reasons as to why you should be watching this show. So, as a good Libra, I decided to do a mix of both. 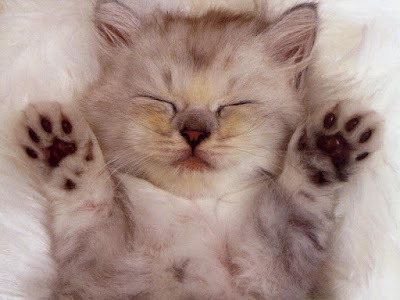 Now, beware, vague spoilers for season one follow below the spoiler kitten. You know how when a TV series starts you can tell that the creator(s) and writers are still figuring it out? Most characters are bland, the fictional universe is still in construction... Well, this is not a problem for The Expanse. It probably helps that the TV show has source material to work with, the book series by Daniel Abraham and Ty Franck, but I was still amazed by how detailed and rich the universe of The Expanse was from the get go. In one of the very first scenes of the series, a man loses his arm, then a couple of scenes later he is casually chatting about getting a bionic arm. It's one little detail of world building that combined with many others quickly give the viewer a solid image of the universe they are getting into. Throughout the season the protagonists visit many different space ships and stations – it's quite a ride – and some of these places we only see for one episode. Still, the writers and producers care enough to give us a fully realized location, as if we were going to spend the entire season there, not just one or two episodes. I can't stress enough how much I appreciate this level of dedication. 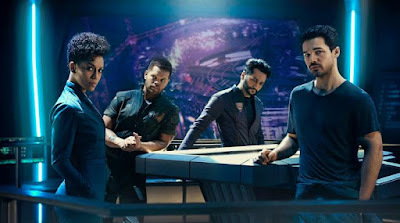 The Expanse follows the journeys of three characters / groups of characters: Holden and his pals (the Roci crew), Miller, and Chrisjen. These three are all archetypes when the story begins: Holden is your typical heroic male lead, Miller is the give-no-fucks detective, and Chrisjen is the manipulative politician. While Holden unfortunately doesn't grow much beyond his archetype, the other members of the Roci crew quickly become interesting characters to watch and follow. And throughout the season, both Miller and Chrisjen develop more layers, as Miller becomes emotionally invested in Julie Mao's disappearance, and Chrisjen unfolds the conspiracy surrounding her. Just like the ships and stations that come and go, even the one off characters are well thought out. It's remarkable, really. The best example of this is one of the closest friends of Chrisjen, who only appears in one episode. We learn a lot about him and about their relationship. By the end of the hour, he is such a fully realized character that you are sure he will become recurring. I love the use of gravity (or the lack of it) in The Expanse, and this is something I've seen pointed out on another review. There is a particular moment that is visually striking: a character is beheaded and the blood coming out of his neck agglomerates right above it, forming a big ball of blood where his head used to be. It's a horrifying figure that his friends are stuck with for a while. The way the characters use the lack of gravity in their favor is really smart. They have these metallic shoes with magnetic properties that they can turn on and off, so they can alternate between walking and floating whenever they need to. They will also do the craziest things in the face of danger, including using their friend's body for impulse – not to worry, they mean no harm. It always leads to exciting moments. 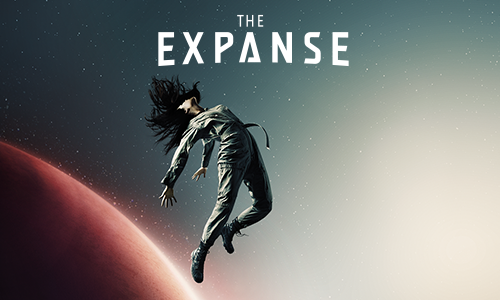 A good ol' slow burn mystery is always engaging when well done, and The Expanse does it well. Chrisjen carries the political side of the mystery, Miller the investigative one, and the Roci crew are the viewers' entry point into the story, the regular Joes who are caught up in the middle of the storm and decide to chase it down. It all comes together in the final two episodes, and while I wish they had given us more information about the blue energy thing, I understand their choice to leave that particular thread to be further explored in season two. Is everything perfect with season one? Nope. I never really got into Holden, the main character of the series*, but it's an ensemble show, so that's not much of a problem. *Steven Strait is not billed first, though, which I find curious. Miller's investigation is hard to follow sometimes. Many people's names and ship names are dropped one after the other, if you didn't read the book (I didn't) or are not taking notes (I wasn't), you can get a little lost (I did). The first four episodes are an intense ride and episode six is a wonderful character focused chapter. But episode five and most of the final four put the characters through some obstacles that are nothing more than delaying tactics. My guess is that the writers wanted to break the first book into two seasons, and as a result they ended up stalling things a little bit. But, really, those are just a few negatives in a season that is filled with positive. The Expanse is worth watching for its world building alone, but it has many other qualities to keep you coming back. If you are a sci-fi fan, this is probably a show you don't want to miss. Lamounier, who would like to thank a fellow Doux Reviews writer for tweeting about 'The Expanse' a while ago. That's how he heard of the series. He doesn't know for sure who it was, but believes it was Mark Greig. So, thank you, Mark. Lovely review, Lamounier. I enjoyed the first season quite a bit -- I love the so-called "hard" science fiction -- but often found myself a little confused, and thinking that I'd follow it better if I'd read the books. I wonder if this is one of those shows that is easier to track if you binge-watch it? I haven't read the books but I binged through season 1, rewatched it, then binged season 2 and I had an easy enough time with the story. The show came out at the same time with The Magicians and they're the best shows on Syfy now. I was lucky to see season 1 when it was all released on Netflix. This is a show that really benefits from being binged. If I'd watched it weekly I think I would've struggled and eventually dropped it. Instead I got through the slower episodes more quickly and by the time the end of the season came around I was excited for season 2 (which is so much better). Also, you're welcome, Lamounier. Nice to know my tweeting is doing some good. I still have to watch it but It's definately on my list. If anyone is still wondering If I started watching: I decided to read it instead before watching. But now I'm thinking should I do book 1, season 1 then book 2, season 2? Or just read all then watch all. Any ideas from You guys? Patryk, I have only seen season one and I honestly don't know what the books in this series are like, but in my experience, reading books first has always worked better for me. I found season one a bit confusing and if I ever rewatch it, I'll probably do some reading first. I've both read the books and watched the TV series. I think each season of the TV series covers about 3/4 of one book, so you might be able to plan that way. It's a great series! I'm after 2 books and just watched the end of book 1 in Tv Show form (season 2 episode 5). Fun to see all the small differences between book and show, but I'm glad the main events remain unchanged. Although I think book 1 was stronger then book 2 which repeated most of the story structure and is also centered around finding an asian female (Julie and then Mei). The resoluton was also too rushed compared to book 1. In the show it's great to see more of Avasarala and Bobbie during book 1 where they weren't event mentioned yet. From what I see book 2 ends in season 3 episode 6 and before I watch the rest I will have to wait a month before book 3 is realease in my country. I'd picked up Amazon Prime to watch American Gods and the Expanse was an unexpected bonus. I've watched all three seasons over past couple of months and enjoyed them a great deal, although the second half of season 3 kind of lost me. There was some good character work in that part of the season but sometimes the show's pace was too fast to allow much exploration of the characters. Several major character decisions seemed undermotivated toward the end of the season. At first, the characters seemed a little too familiar but they grew on me. In particular, my initial impression of Amos was that he was going to be another garden variety "survival is everything" ruthless psychopath. What I found interesting about him is that he's aware that his lack of empathy isn't normal or desirable--usually these types of characters view themselves as the only ones capable of making the tough decisions. Instead, Amos seeks to anchor himself to people he views as making moral decisions. Naomi, who says she views him like a brother, also calls him a monster, but he wants to be a better person. Although the actor deliberately plays him as emotionally flat, you could still feel that he was hurt when he learned that Naomi had concealed who had logged the distress signal, and touched when Prax left his Mai in his charge. He also had one of the rare funny lines in the show, when Avasarala asks him "What do you know about pumps?" and he replies "I didn't always work in space". I also like how they've left his sexuality undefined.